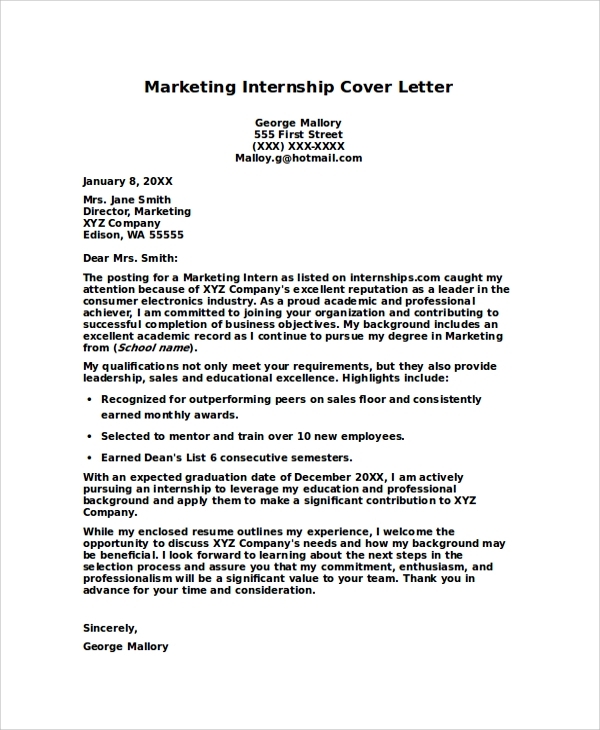 An internship cover letter is a letter which is attached along with the resume for the purpose of admission into an internship program. It consists of the qualifications, traits and skill sets of the potential candidate which will help him or her get the job. It highlights all the right aspects of the candidate. Carrying a Sample Cover Letters is always an added advantage when it comes to applying for an internship. While applying for a marketing internship, there are certain important points which a candidate should add on. They include his/her communication skills, participation in debates, speeches on public speaking platforms. Highlighting these skills can be helpful for getting a marketing internship. A cover letter for finance internship has to highlight the strengths of the candidate, just like any other internship. It should also mention the level of interest in the field of finance the candidate has. It is a great way to show the candidate’s credentials and seek the employer’s attention. 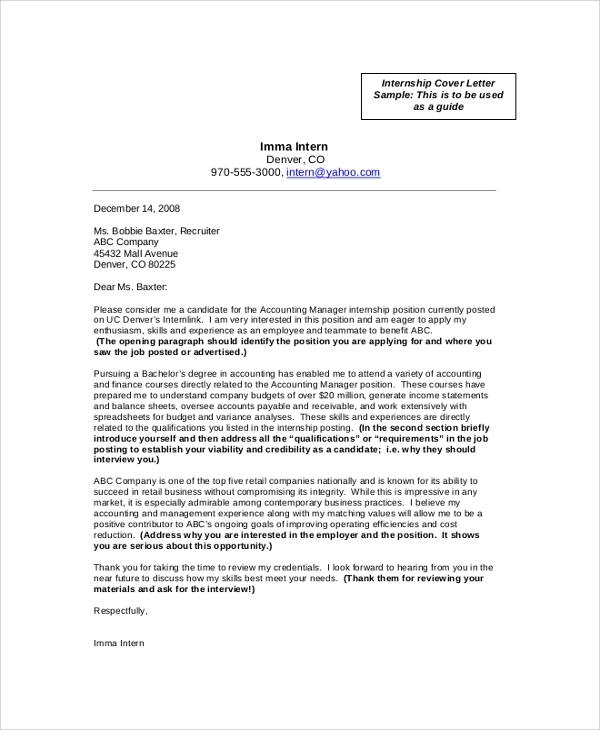 A cover letter for the post of an accounting manager internship has to be well written and presented. It has to strongly put up the points that an accounting manger possesses. The cover letter should mention that the candidate has genuine interest and capability to handle accounts. 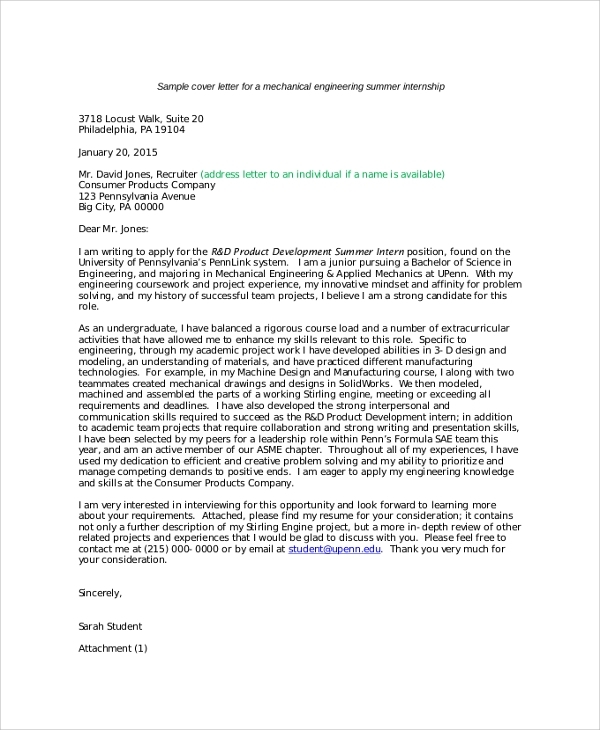 The cover letter for an engineering internship should highlight the candidate’s skills and abilities, along with their academic projects and overall performance. It should be written in a way which grabs the attention of the employer. 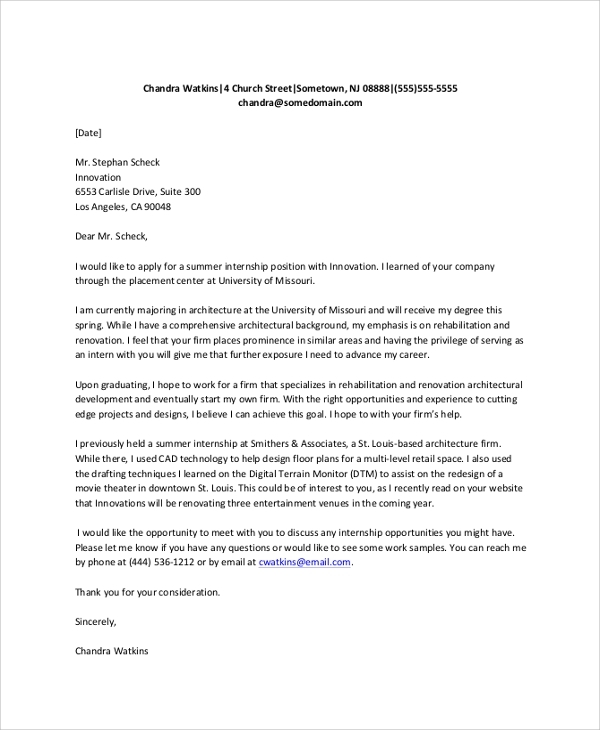 A student internship cover letter is needed for a student who wishes to join as an intern. As the student does not have any prior work experience, he or she has to write the letter as a fresher and should contain all the strengths of the candidate. 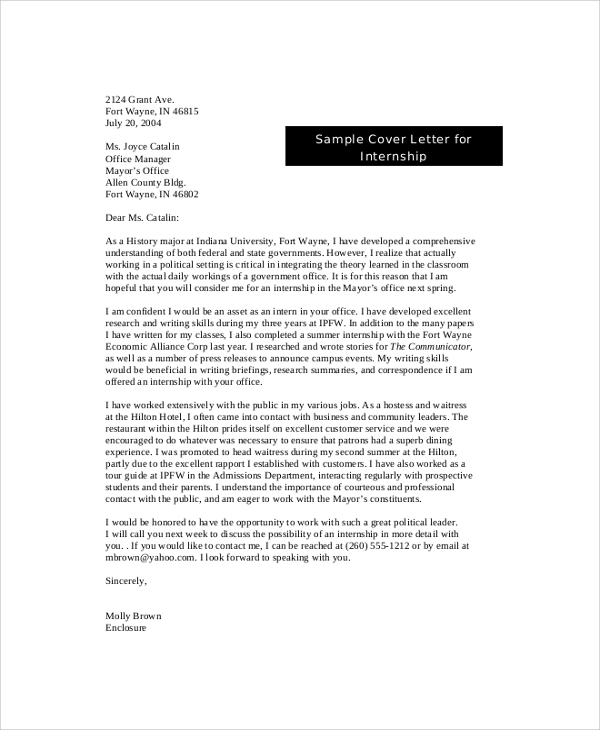 A Sample Internship Cover Letters is written to highlight an individual’s skills and qualifications that will help him/her get the job or internship program. By writing a cover letter, one has the opportunity of showcasing his/her relevant experiences, qualifications, and skills. 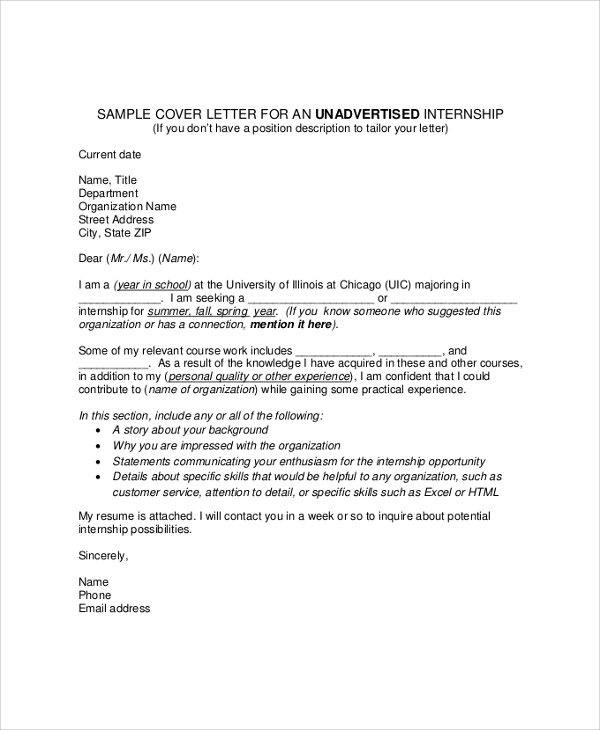 A cover letter for an internship is applied by students, individuals who like to volunteer for a cause, and in some cases, professionals may also apply for the internship program when they are in need of work exposure on a particular field or area. Before writing a cover letter, one can browse through a wide range of Sample Cover Letter Formats. 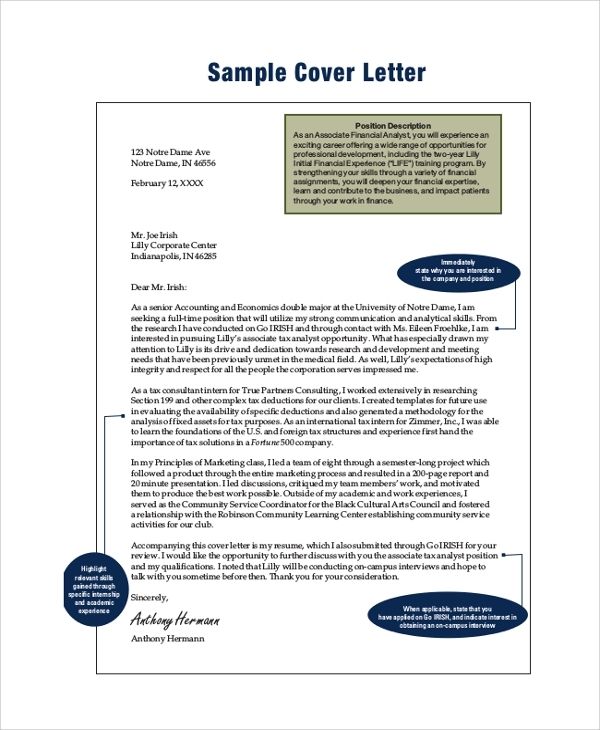 These samples cover letter formats are available for download online. 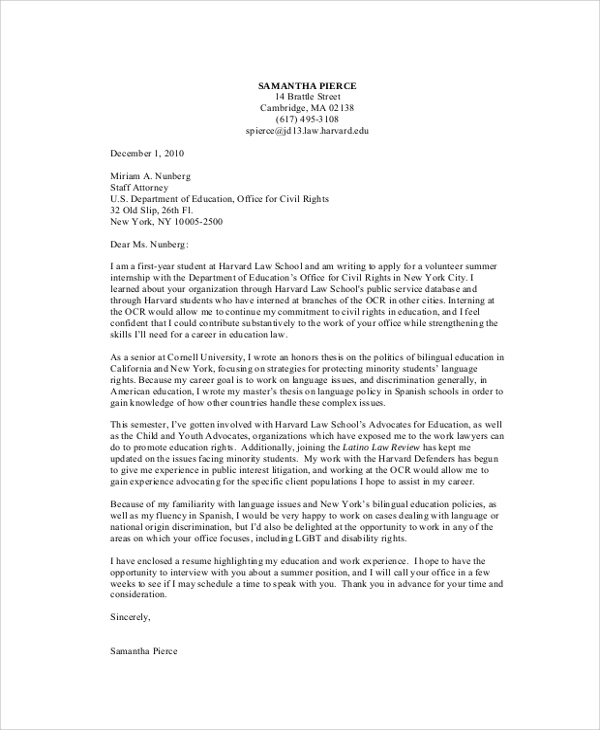 It is important to note that a cover letter should be attention grasping and must contain all the positive aspects such as work experience, qualifications, etc. which will help the candidate in getting the internship.